UPDATE: Winner has been selected but please read this touching interview anyway. Today I have with me Dorothy Love. 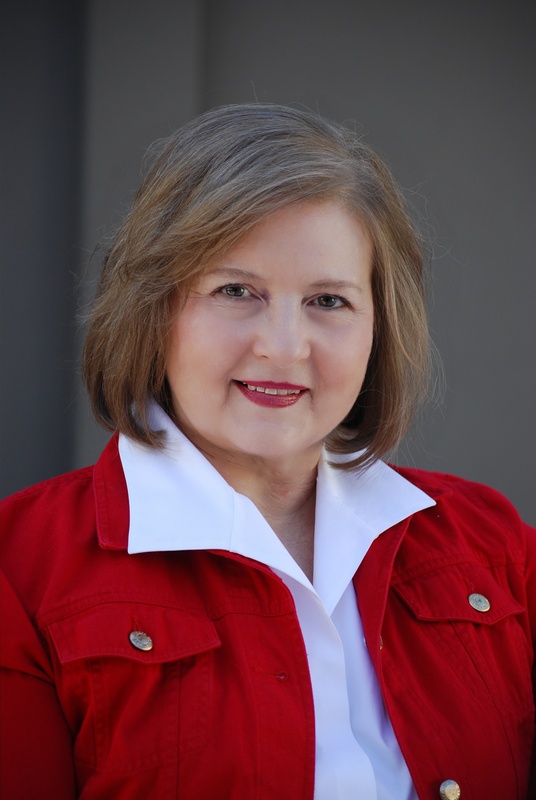 She is the author of the Hickory Ridge series, historical novels set in the beautiful Smoky Mountains region of her native Tennessee. Her well-researched, heartwarming stories of small town Southern life, faith, friends, and family reflect the emotions, concerns, and values of women everywhere. 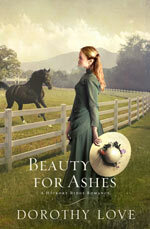 Dorothy has offered to give away two books to a fortunate winner: Beyond All Measure and Beauty For Ashes. Please leave a comment below with your email address. We need at least ten comments to make a contest. Winner must live in the Continental United States. Tell us a little about yourself. I grew up in Tennessee until high school when my family moved to Ohio for three years. After that we moved to Texas where I have spent most of my adult life. I was raised in a tiny Presbyterian church where my dad built and installed a steeple. I have a picture of it on my website photo album. I have fond memories of Sunday school and Vacation Bible School there. I have three brothers and one sister. The brother closest to me in age passed away earlier this month after a short battle with cancer. It has definitely left a huge tear in the fabric of our family. I’ve been a full time author since 1995. 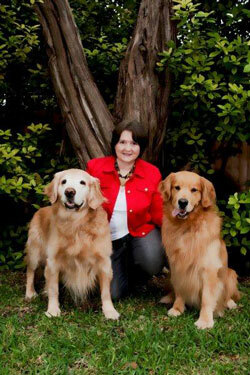 I first published novels for preteens and young adults in the general market. About three years ago I moved to Thomas Nelson to write historical novels for adults. Since then, I’ve completed the three novels in the Hickory Ridge series, the last of which, EVERY PERFECT GIFT, will be out late this fall. Now I am working on the first of three stand alone historicals, also for Nelson. The first will be out late in 2013. I am so sorry for your loss. I know your pain. It sounds like you have had a fulfilling writing career. Tell us three things about you that would surprise your readers. On a dare, I once sang in a rock and roll band. And I enjoyed it. I’m such an introvert that this was a real challenge for me. But I think it’s important now and then to step outside the comfort zone and do something that scares you. My husband and I once spent 17 days in New Zealand, part of it hiking the trails. I love it there, the people, the magnificent scenery, everything. I was sad to learn that the cathedral in Christchurch, where we worshipped on Christmas Eve, was so heavily damaged by last year’s earthquake that it must be torn down. I would love to go back there someday. I’m not a good swimmer at all, but my favorite hangout is the beach. Give me surf, sand, and sunshine and I am a happy girl. I am a beach lover too! I don’t really like the sun because I burn and because my dad died from skin cancer. But I do love the waves! Were you an avid reader as a child? What did you read? Oh yes, I was and still am an avid reader. I used to read ten books a week when I was in elementary school, and pretty much exhausted the librarian’s modest collection. We had a county library where I checked out books every Saturday. As a child I loved biographies and Lois Lenski’s books such as Strawberry Girl and Flip Flop Girl. My dad encouraged my passion for books and bought The Bobbsey twins series for me, and when I was very young, the latest Little Golden Book. As a teenager I read all of Anne Emery’s books, all of Rosamond du Jardin, all of Betty Cavanna. I read a lot of books about young women in certain careers. One that I remember is Cherry Ames, Student Nurse. Looking back on them now, those books were so innocent. Today’s teen girls don’t have books like those. I know times change, but it’s sad there are not more of those wholesome stories available for impressionable girls. I totally agree with you that there is not nearly enough wholesome material for our teens today. What is your favorite genre to read now? I live and breathe history—I write historicals and that’s what I love to read. But I also read a lot of literary fiction across all time periods, and quite a bit of nonfiction. After my third grade teacher praised a story I wrote for school, being an author was all I dreamed about. But I took the practical route in college, got a BS, a Masters and a PhD in various branches of the education field. I worked as a public school principal and a college professor before I began devoting fulltime to writing in the mid 1990’s. While I was principal, I had a bit of success writing nonfiction magazine pieces, but I really wanted to write novels. In the early 1990’s we learned that my husband would have to change companies due to office closures, and we moved to a small town in Iowa where I taught at the local college, and worked as a state level consultant, and started devoting more time to writing fiction. When I sold my first book in 1994, I left consulting to focus full time on writing. I published a book a year for the next 14 years or so, then switched to writing inspirational fiction for adults about 3 years ago. I collected rejections for about 5 years before writing my first historical for preteens, based on actual events along the Oregon trail. The first editor who read it bought it, and launched my career. I’ve lost count, but I think it’s around 16 or 17. You are such an inspiration! Tell us about your latest book. Beauty For Ashes is the second in the Hickory Ridge series which is set in the gorgeous Appalachian mountains region of my home state of Tennessee. It’s part romance, part mystery, a weaving together of the historical and the personal that I hope readers will enjoy. Carrie Daly, the main character is one readers of the first book, Beyond All Measure, will remember as one of Ada’s friends from the church quilting circle. Carrie has agreed to marry Nate Chastain, the local bookstore owner…someday. Even though he doesn’t make her heart beat faster. Then a tall, dark, and handsome stranger steps off the train in Hickory Ridge and everything in Carrie’s life changes. I love this storyline! What inspired you to write this particular book? In the first book, Carrie was still in mourning for her young husband who had been killed at Shiloh. She was sure her life was over. I wanted her to be happy, so I gave her a story of her own. Not that she escapes tragedy, even in this book. But God’s provisions and His love come shining through. A stand alone historical for Thomas Nelson set in the South Carolina low country. I am a Southern girl, born and bred, and all of my stories are set in the South. This one is inspired by the life of an actual woman rice planter who took over her family’s plantation after the death of her father. I’ve hired a guide to take me to that plantation in early June so I can stand there and breathe the same air she breathed…I cannot wait!! I read a lot of history and a lot of biography. Many of my stories and characters come to me that way. Phone books from the area where the stories are set are good resources for me. The Bible, because my stories are set in the 19th century, when many women were named for Biblical characters is another one. The phonebook is a great resource! Are you a plotter, a pantster, or somewhere in between, and can you elaborate on your answer? I begin with a 3-5 page outline which gives me the major turning points of the story and I usually have in mind the final scene in the book, but I’m a pantser in the sense that as the story unfolds, I find myself making changes, taking detours I didn’t see coming. Being surprised by the story is the joy of that first draft. That is exactly how I write! I love when my characters do unexpected things. What are your favorite themes to write about? Even though my stories take place in another time, the broad themes and my characters’ concerns are the ones that resonate with modern day readers—family, faith, friends. Forgiveness. Restoration. Redemption. Regardless of time period, we want love and acceptance. We want to grow in our faith. We question our own choices, we question God. We make mistakes and grow from them. Or we keep on making the same mistakes. Life is wondrous and messy, incredibly joyous and unbearably sad, and all of that gets mixed into my stories. I have a messy office on the second floor of my house, which is currently getting ready for a re-do and I can’t wait. I write 4 days a week from roughly 8 to 5. Mondays are reserved for errands and appointments. I get all that stuff cleared away first because it’s hard for me to write when I have other obligations hanging fire. In between, I have to make time to show up on Facebook, to blog twice a week. Right now I’m getting ready to launch my quarterly newsletter. It’s an intense schedule. I look forward to reading your newsletter. Share something about your day-to-day life that might help a reader to feel as though they know you a little better. I get up at 5 am every day and make breakfast. Feed and walk our two golden retrievers. Read the papers. I am the one who sweeps up dog hair, takes dogs to the vet, pays the bills and makes our travel arrangements. I handle the grocery shopping and all the housework. It’s all very glamorous. I call my mom every other day. I love watching Masterpiece theater on PBS and am now awaiting the next season of Downton Abbey. I am interested to see how Shirley Maclaine will fit into this cast. I am the one who does those things around the house and I, too, am hooked on Downtown Abbey. What would you be doing if you weren’t writing? Lying on the beach. And I’d become a jewelry maker. I’ve toyed with the idea of taking some classes but right now my writing career keeps me too busy. I will always need something as a creative outlet. A number of them for my preteen and YA books. My first novel for this market came out only last year, and I haven’t entered many competitions. I try to write the best book I can, and if it wins an award, I’m thrilled. But I don’t spend time worrying about something I cannot control. Left my job to pursue writing full time. Again, you inspire many! What is the most embarrassing thing that’s happened to you? I would tell you but it’s too embarrassing. Too funny! What was your greatest fear as a child and have you written something like that into your book(s)? I was very close to my parents and I feared getting lost, missing the school bus and not being able to get home. I am still a big chicken when it comes to driving in an unfamiliar part of town or even worse, a strange city. I have a terrible sense of direction and I have learned that the GPS can’t be 100 % trusted. Coming back from Houston recently on the interstate, it kept telling me to turn left on Ashford Dairy Road. I haven’t yet written this phobia into a book. Maybe I will someday. My biggest fear was (and is) snakes. If you could have dinner with someone famous (dead or alive) who would it be? In addition to our Lord of course, I’d love to have dinner with General Robert E Lee. He is one of my all time heroes. If you could travel to anywhere in the world, where would you go and why? I’ve been lucky enough to travel to some pretty exotic places—New Zealand, Panama, Tahiti, Hawaii, Bermuda (anyplace with a great beach is very appealing!) but I still want to spend a month in Italy. I’m fascinated by the art and history of Italy, by their pace of life in the small villages outside Florence. And I’ve always wanted to go on a photographic safari to Africa. If you go to Italy, can I go in your suitcase? It’s my dream to go there. What is your number one spiritual gift? Is there anything else you’d like to tell us? Maybe a writing tip or advice for aspiring authors? When I started out, the conventional advice to writers was to write what you know. But I think that limits a writer too much. I’d say write what you want to know, what you are passionate about. I live and breathe Southern history. I love the research involved in bringing my stories and characters to life. Find what you are passionate about and write about that. At my website, www.DorothyLoveBooks.com, I maintain a blog for writers called Writers Caffeine that is filled with tips on writing. I hope people find it useful. Write what you WANT to know. I like that! Where can fans find you or your books on the internet? My books are available online and in stores. I’m on the web at www.DorothyLoveBooks.com and at www.Facebook.com/dorothylovebooks. Thank you for being with us today! I enjoyed this interview so much. Don’t forget to comment below for a chance to win TWO books! Coming Fall 2012. Sophie Robillard Caldwell has spent a lifetime guarding her heart…. and a life changing secret. Hoping to follow in the footsteps of the newspaperwomen she has come to admire, she returns to Hickory Ridge from Texas to revive the local paper, the Gazette. Ethan Heyward, son of a Georgia planter has come to town to build and manage Blue Smoke, a luxury resort soon to open at the top of Hickory Ridge. He, too, is harboring a secret too painful to share with anyone…even Sophie. Meet Gail Gaymer Martin! Plus comment for a GIVEAWAY! I would like to be a fortunate winner! Historical Fiction is my favorite. I appreciate the research the authors do to place their characters within the time period and events/happenings. Dorothy, I am sorry to hear of your brother’s passing. My son died of a heart attack June 3 last year. Remembering our love for each other and the Lord has upheld me in comfort. “Phone books from the area where the stories are set are good resources for me.” What a neat idea! Also, please sign me up for your newsletter. Kathleen, I’m sending you condolences on the loss of your son. So hard to lose a child. I’ll add your name to the newsletter list. The next one will go out August 1st. Kathleen, I knew you’d love this interview! Yes! Oh, Sherri, you make me smile!! My birthday is May 30th, the real Memorial Day. This year it is on my oldest daughter’s birthday, the 28th. Guess I will share it with her! ha ha Have a blessed and enjoyable weekend with family and friends. ❤ k.
Well, happy birthday and happy Memorial Day to you! Thank you for the opportunity to win Dorothy’s books! I haven’t been blessed to read one yet. Since I am a reviewer, I need AND want to for sure! I can’t wait for the SC plantation book, as I reside in in SC. Anything about plantations in the south, and I’m there! Also wanted to mention that the cover is so gorgeous on Every Perfect Gift! WOW! Who could resist that on the bookstore shelf? Diana, I’m so glad you stopped by here. I’m a third of the way through writing the SC book and loving it so much! I am also contracted to write a book set on Pawley’s Island, but there will be a Texas-set novel in between…Looking forward to spending more time in your beautiful state. I love the line on your SC auto license plates: Smiling Faces, Beautiful Places…..So true!! Diana, thank you for stopping by the blog today! Diana, you won Dorothy’s book!! I don’t have your email so I’m going to try to find you. Leave it for me here just in case. I would love to win Dorothy’s books. I am just now starting Beauty For Ashes . I am loving it so far! 🙂 I would love to give a copy of Beyond Measure to my niece! 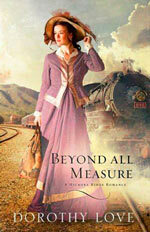 I’d also love to read Beyond All Measure! Thank you for takng the time to read the interview! Mippy, thanks so much for your kind words about Beauty For Ashes. I loved writing Carrie’s story. And thanks for stopping by here. I do too! I love Southern fiction! I have enjoyed reading this interview. Whereas I was born and reared in Ohio, I have many relatives in the South, and have lived in North Carolina and Florida. I too have lost a wonderful brother to cancer, and also my sister to heart attack. I really like reading historical fiction. When I was in high school, I read all of the Lincoln Steffens books on the Civil War. I taught English and French for 34 years before retiring. Now I read most of the time! Of course I would love to win your books, and continue reading more historical fiction. Hi Kaye, I taught English, too, once upon a time. I loved it, but love writing novels even more. I am so sorry to hear you’ve lost two precious people in your life. It’s so hard, isn’t it? What an extensive interview! Thank you for sharing with us. I also, love historical fiction. Even as I young child, I would read all the stories about historical characters. I’m so glad you enjoyed the interview! I love that your books talk about how God’s love and provision come through for the characters in your book. I think it is also neat that you were able to step out and go full time writing. I think my family would think I’d be nuts! Debra, thanks for stopping by. Good luck!! Keren, You have been such a faithful friend on FB, such an encourager. I appreciate you sooo much. Good luck!! This is a great interview, sorry for your loss Dorothy, I hate to think of the time when my brothers or sisters will go as I know they will one day, oldest is 81 now and I have 4 sisters and 3 brothers -I love to read your books and would love to be in the drawing. Paula! So happy to see you here. thanks for your kind words. Loss is never easy, but I have felt surrounded by God’s love and peace, and I am thankful that my sweet brother’s suffering was short. He lived only 45 days after learning he had cancer. EVERY PERFECT GIFT is dedicated to him. Dear Dorothy and Sherri, I just wanted to say I’m so sorry for both of your loses! Cancer is a horrible thing! My sister and I took care of my Dad when he was dying of cancer, it was horrible. He passed away in Dec. 2004. Your books sound and look amazing! Jenny, I’m sorry for your loss, as well. Yes, watching Dad pass from cancer in 2002 was not one of the highlights of my life, that’s for sure. Such a growing time! Thank you so much, Jennifer. And thanks for stopping by here today. What a great interview…love all the fun details and getting to know authors better. The book sounds amazing and I love to find new authors and series to get wrapped up in! I pray for you in this time of loss. Brenda, Samantha, Karen, I love that you came by today. Thanks for all your kind words. I have the best readers in the world, and I’m so thankful for the joy each of you brings to my life. I would love to win this book! I enjoy reading historical fiction. It seems to be all that I read! Touching and wonderful interview. Love reading Historical Fiction. Would love the chance to win Dorothy’s books. I am so glad the interview touched you. Dorothy is a lovely woman of God! Loved the interview – especially the telling of how you pick character names! My prayers are with you, Dorothy, about your brother. I know a bunch of kids in the peds oncology ward at Johns Hopkins, and know several who have died in the last 2 years. I’m with you on the driving and directions stuff – learning the “art” of driving in Baltimore and having to drive around the outskirts of DC has taught me many things! I literally just started reading Beyond All Measure (it is right next to my pillow!) and can’t wait to get my hands on more of your books. Thanks, Dorothy and Sherri! Thank you for joining us on the blog today! Thank you both for sharing with us. It is very difficult to loose a loved one. My husband succumbed to cancer in 2009 after 12 years of treatments for an entirely different cancer. His loss, after 56 years of marriage, has helped me realize we must always express our love each day of our lives, for tomorrow may never come. I also love historical characters and I so enjoyed the North and South series. I would love to be a winner of one of Dorothy’s books. She is an amazing person and I hope some day to meet her. May God continue to bless you and give you much for insight for more stories. Thank you. I am so sorry for your loss, Mary! I lost my brother-in-law in April 2011 and my dad in Jan 2002 to cancer. It’s such a hard thing! God bless you! Mary, Beth, Amanda, thanks for your kind words and for stopping by. Wonderful review! I love learning new things about authors whose work I have so enjoyed! I haven’t read Beyond All Measure, but haven’t read Beauty for Ashes. I would love to be entered in the drawing! Thank you for visitng with us today! I’m glad you liked the interview! I love your books and would be so very excited and thankful if I were picked to win this one! Dorothy, first of all I am so sorry about your brother’s death due to cancer. I lost a husband to brain cancer 9 years ago. It is a horrible disease. I really enjoyed this interview with Dorothy. We have a few things in common. I too get up at 5 a.m. and I too hate snakes! I have always been and I still am an avid reader. 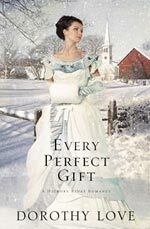 Every Perfect Gift has a beautiful cover! Very appealing! Thanks for this great interview and giveaway! Judy, thank you so much. I’m so excited about Every Perfect Gift, and hope my readers will enjoy the final Hickory Ridge novel. I would love to win. I love historical fiction, and this series looks great. Lovely interview. Sorry for the loss of your brother. I lost one of my brothers at the age of 44. He died suddenly of lung cancer. Our father died twenty years to the day of the same cancer. My brother’s twin really misses him because they did everything together. The books look very interesting. Will put on my wish list but hope to win. I am super excited to read this series! My reading time has been cut down so much with school, work and husband 😦 My reading time is usually 1 or 2am, the quiet time of the night for me (sleeping is overrated). Fun interview. Let me say that the cover of the book first caught my eye. Love it! Thanks Sherri for letting us get to know the author behind the cover. Thanks for the fun and informative interview and for a chance to win one of Dorothy’s books!! Thanks for putting my name in the hat. It was such a fun interview. I’m so glad you enjoyed it. I would so very much like to win this lovely book giveaway. Thank you for the opportunity and I am saddened by the sorrow in your heart right now. I enjoyed your interview and would love to win this book. I pray God will help you with the loss of your brother. Thank you so much for the chance to win!! Great interview and thanks for the great giveaway! i haven’t read yur books yet . i would like to win a book so i can read it .. i live in the southern part of tn… It is called Loretto tn. i think i would like to read Beauty for the Ashes.